What Substances Contain Polyatomic Ions? An ion is an atom that has either a positive or negative charge due to different numbers of protons and electrons. A polyatomic ion, therefore, is a charged molecule composed of at least two covalently bonded atoms. A majority of polyatomic ions display a negative charge, as they have extra electrons which they use to form ionic bonds with other molecules. 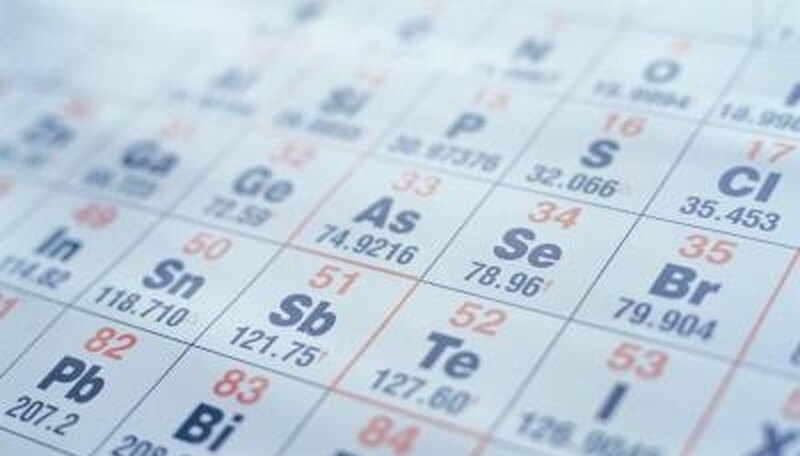 There are a vast number of ionic compounds formed from the bonding of a polyatomic ion and a metal; however, there are several more common compounds that give excellent examples of the types of compounds that contain polyatomic ions. Sodium hydroxide (NaOH) is a very common ion compound composed of a sodium ion and a hydroxide polyatomic ion. The hydroxide ion consists of a hydrogen molecule covalently bonded to a oxygen molecule resulting in an overall minus one charge due to an extra electron. Thus, this polyatomic ion will readily donate the extra electron to another atom. The sodium ion, itself, has a positive one charge and needs an extra electron. Therefore, an ionic bond is formed between the polyatomic ion and sodium ion as the electron is donated to the sodium atom giving the sodium hydroxide compound an overall neutral charge. Calcium carbonate (CaCO3) is a common component of several types of rocks and is also the principle component in eggshells. In addition, it is used as a supplement for those individuals not getting enough daily calcium. It is composed of a calcium ion with a plus two charge bonded to a carbonate ion composed of a central carbon atom covalently bonded to three oxygen atoms. The carbonate ion is a polyatomic ion that has two extra electrons giving it an overall minus two charge. Thus, these electrons are donated to the calcium atom forming an ionic bond between the two chemical species. There are many acids that contain polyatomic ions including: phosphoric acid (H3PO4), nitric acid (HNO3) and sulfuric acid (H2SO4). These compounds are composed of a polyatomic ion bonded to hydrogen molecules. In solution, these two species dissociate into their respective species resulting in free hydrogen ions. The concentration of hydrogen ions in solution determines the pH, as a strong acid has a high hydrogen ion concentration and a low pH value. The polyatomic ions previously identified were all anions, meaning that they have an overall negative charge. However, there are some examples of polyatomic ions with overall positive charges, called "cations," that can form compounds with other polyatomic ions. Perhaps the most common positively charged polyatomic ion is composed of a nitrogen molecule covalently bonded to four hydrogen molecules giving the species an overall plus one charge. This polyatomic ion is called "ammonium" and readily combines with the nitrate polyatomic ion forming ammonium nitrate (NH4NO3). What Are Some Ways to Track the Valence Electrons in an Ionic Compound? Perdue, Matthew. "What Substances Contain Polyatomic Ions?" Sciencing, https://sciencing.com/substances-contain-polyatomic-ions-8676789.html. 25 April 2017.